Health experts have talked down infection fears within the Adelaide community despite two confirmed reports of meningococcal disease within the past two days. A two-year-old boy is in a serious condition and a 29-year-old woman is in a stable condition after being diagnosed with the disease. It comes just days after the State Government launched its vaccine program for children under four. SA Health said the child had been a frequent visitor of a childcare centre in Para Vista — north of Adelaide — and up to 64 people had been advised to take clearance antibiotics. Authorities did not reveal which childcare centre was impacted, however Early Steps Para Vista outed itself in a statement. "We would like to thank our families who have supported us in this difficult time," it said. "The centre contacted SA Health immediately after finding out about the confirmed case of meningococcal. "The centre then followed the directions that SA Health requested us to follow." In a separate case confirmed this morning, multiple people were directed to take antibiotics after coming into contact with the 29-year-old woman. No link has been established between the two cases. SA Health chief medical officer Paddy Phillips said children and parents who attended the childcare centre, as well as some family members and the wider community were not at risk. "These clearance antibiotics are actually preventatives," Professor Phillips told ABC Radio Adelaide. "So about 10 to 20 per cent of the population carry the meningococcal bug in the back of their throat quite harmlessly, never causes them a bother. "But because there's been a case in this area… what we do is we go out and we give clearance antibiotics to clear any of the people who have had prolonged close contact." He admitted that a recommendation for 64 people "was a lot" in the first case, but only because the child had a lot of contact with others. He said children up to four years of age and adolescents between the ages of 16 and 19 were most at risk. "It is a lot, that's because young children do have pretty close contact and also this little boy spent quite a bit of time in the childcare centre," he said. 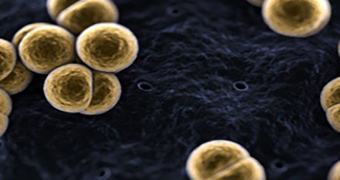 South Australia has the worst meningococcal B rates in the country and there have been 24 confirmed cases of invasive meningococcal disease reported in the state so far this year. However, Professor Phillips said it was important for the public to understand the community was at a "very low risk" of being infected. 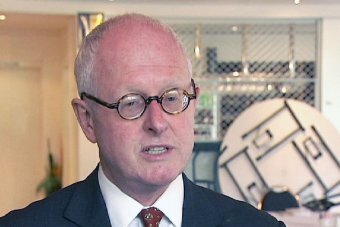 "People who haven't been in contact or haven't heard from [SA Health] really should not worry about the risk," he said. "There is no public health risk to people outside in the general community at Para Vista, none whatsoever from this case. "People should not overreact because the risk even to those who have had prolonged close contact is low but we just take the extra precaution of clearing that bug from their throats." The confirmed case comes just days after the State Government rolled out free meningococcal B vaccinations for children under the age of four through GPs, local government immunisation clinics, Aboriginal Health Services, Child and Family Health Services and Country Health SA. SA Health Minister Stephen Wade today urged the public to take advantage of the free vaccine rollout.